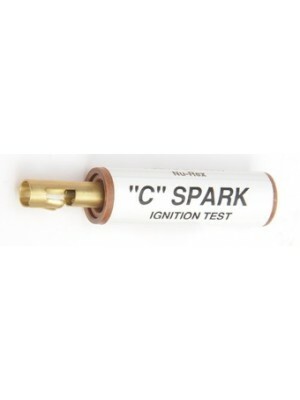 Coil VoltageTester- A simple test device to determine the spark voltage and ignition system con.. 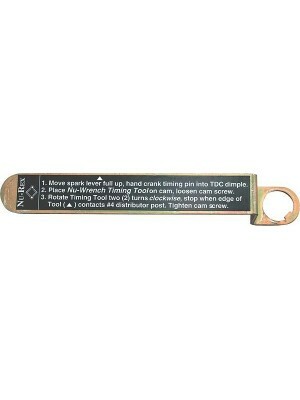 Coil Polarity Tester- This device uniquely shows ignition spark presence and coil polarity whil.. Distributor Puller- Makes it easy to get a stuck distributor out of the cylinder head. Hooks to..
Easy Timing Tool- Simply remove distributor cap, loosen cam, turn clockwise until tool rests against.. 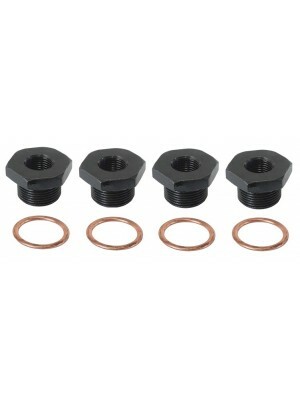 Spark Plug Adapters- Black oxide coated. Uses 14MM spark plugs. Set of 4. A.. 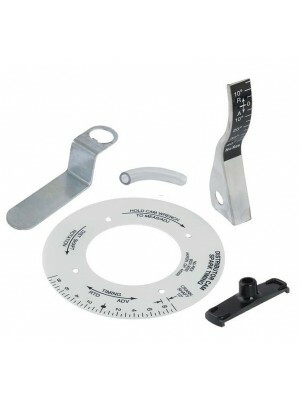 Distributor Timing Kit- For use with a timing light. 4 pieces with instructions. Includes ..